Put your meat in a mixing pan and sprinkle your spices all over the lamb. 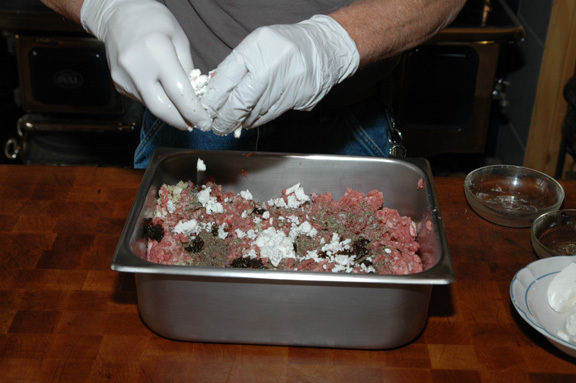 Next, add your diced sun-dried tomatoes and then crumble your Feta Cheese all over the meat. Mix thoroughly and then mix thoroughly again. 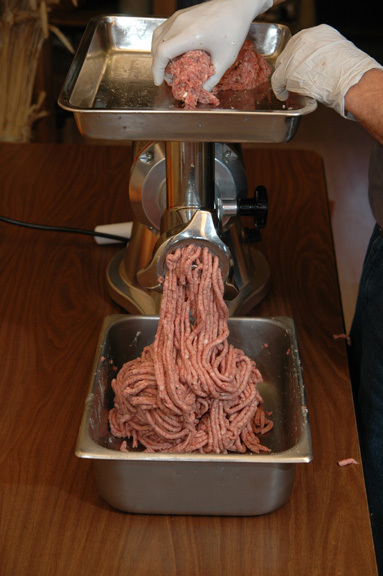 Run it through your meat grinder. 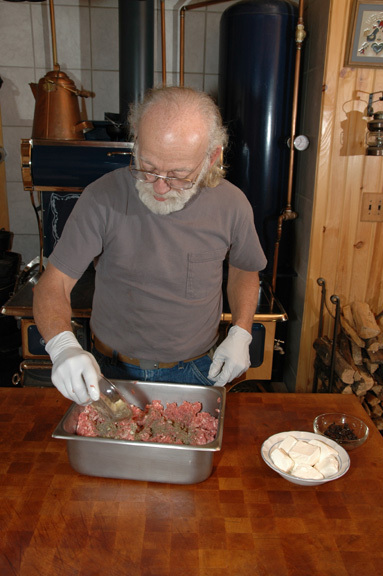 When your sausage looks well mixed let it age for a few hours to overnight before it is cased. 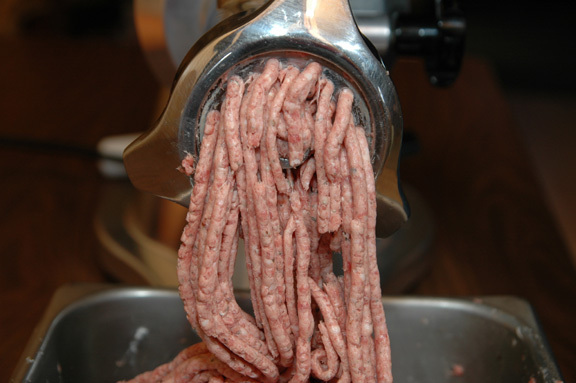 Pinch and twist and you have link sausage! 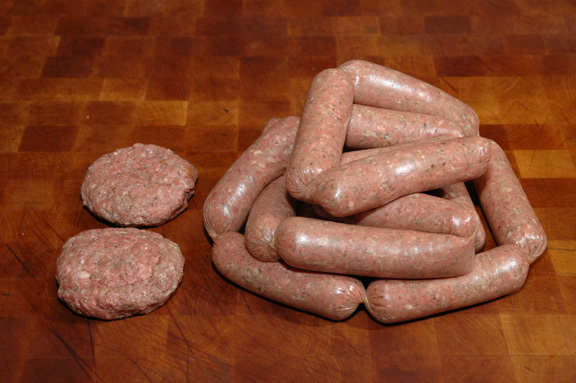 I enjoy sausage in patties and links and always make some of each. They look tasty even before they're cooked. 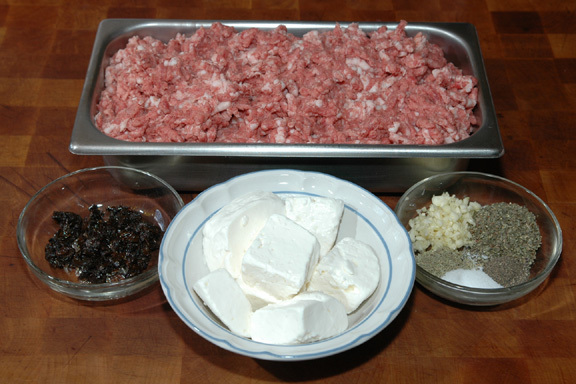 Aussie Lamb Sausage and Feta Cheese garnished with sun-dried tomatoes. Pick over and discard any damaged beans or stones. 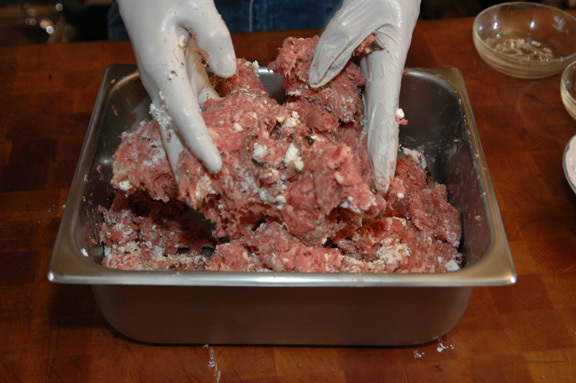 Rinse and place in bowl. Add plenty of water to cover and let soak for 1 hour. Drain, place in saucepan with enough water to cover beans by 2 inches. 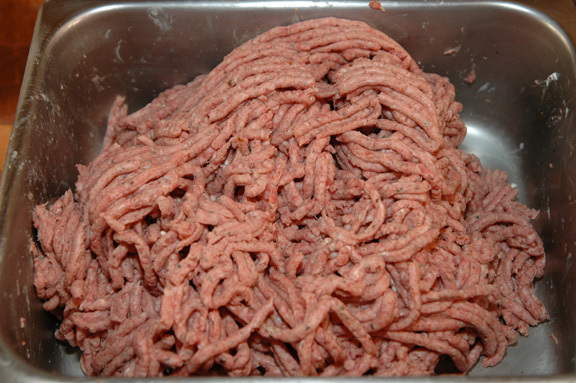 Bring to a boil, reduce heat to low and simmer uncovered for 30-45 minutes, until tender. If using dehydrated vegetables, place in bowls and cover with hot water until re-hydrated. When hydrated, heat vegetables in fresh water until hot. Drain. If using canned vegetables, heat in liquid until hot. 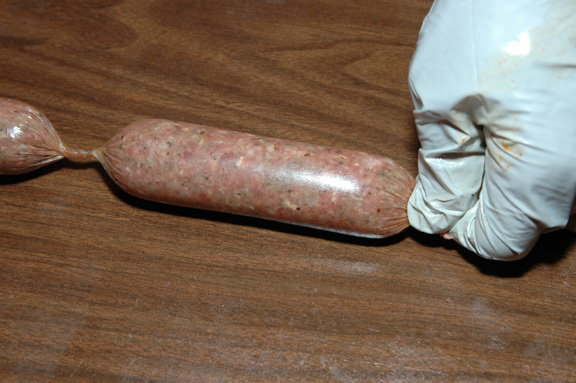 Meanwhile, cook sausage until browned and done. Slice in long diagonals, set aside and keep warm. Whisk together the oil, vinegar, salt and pepper and basil. Drain anasazi beans. Add half the dressing and toss. 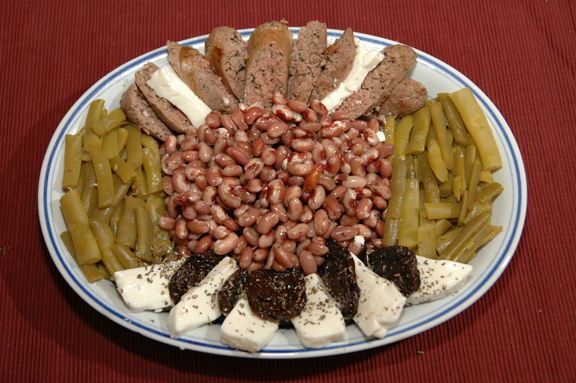 Place anasazi beans in center of platter; arrange green beans, feta, and sausage around beans. Garnish with sun-dried tomato. Pass condiments or salad dressing around the table with salad platter.